Tundra is a type of biome that is characterized by extremely cold temperatures, a short growing season, and low amounts of annual rainfall. Tundra can be found in the Antarctic and on mountain tops, but the majority is found in the Arctic. 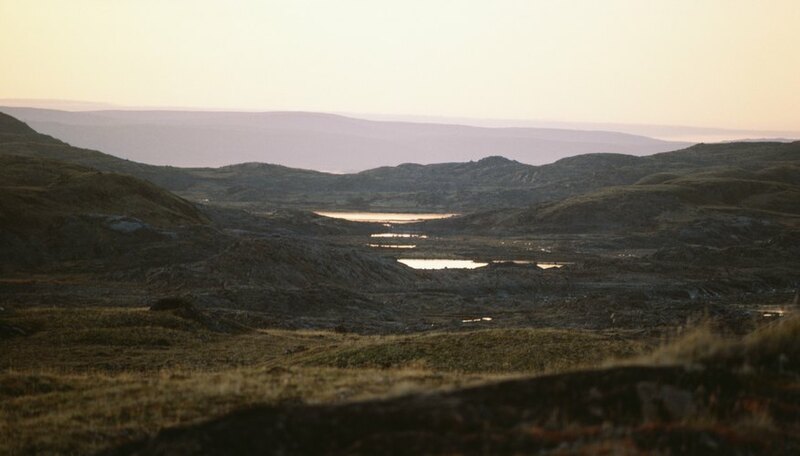 The tundra is an inhospitable place and many organisms, such as amphibians and reptiles, cannot be found in this unforgiving environment. Despite the challenges of living there, several groups of organisms thrive in the tundra and these groups make up unique tundra food chains and webs. Food chains are a conceptual description of energy flow in any ecosystem. Most ecosystems are supported by primary production. The primary producers are vascular plants and algae that produce organic material from inorganic materials like nutrients, atmospheric gases, and water. The energy that fuels this process comes from the sun. Each successive level up the chain is populated by organisms that feed on the link below it. Herbivores are secondary consumers, because they feed directly on the primary producers. 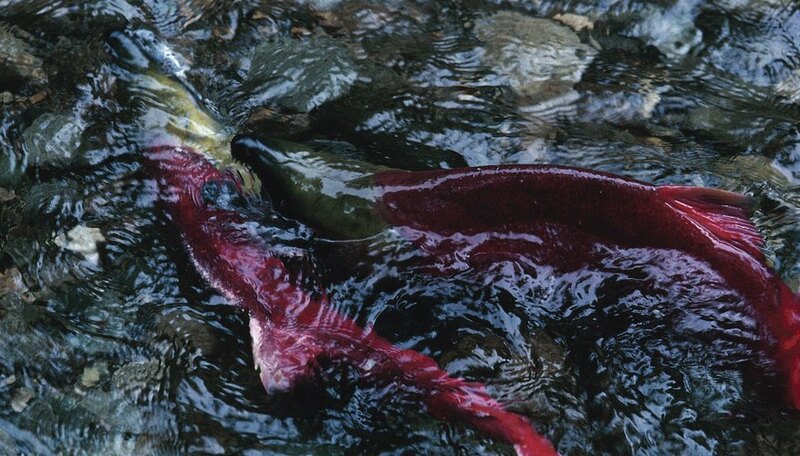 Since real ecosystems can be complex, the simple food chain analogy often falls apart. 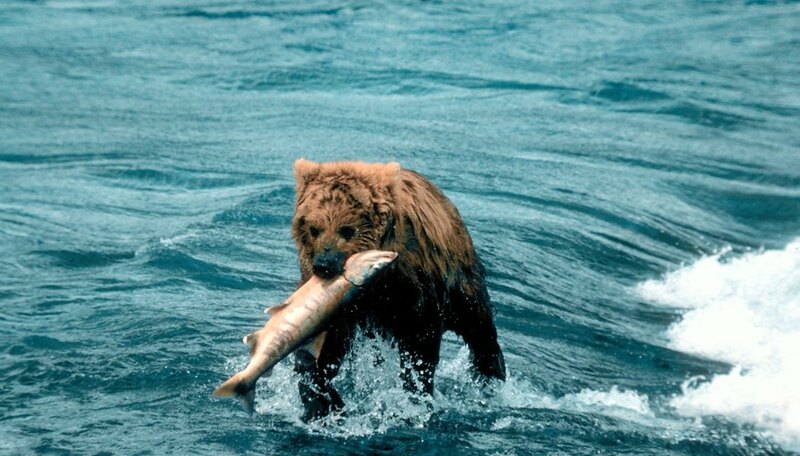 For example, bears are a top predator in the tundra, but they also feed on berries and fish. For this reason, a tundra biome food web is often more appropriate to describe the complex energy pathways that take place in real ecosystems. This takes the form of a tundra food web diagram that shows all connections and directions of energy flow between organisms in the ecosystem. Tundra food webs are relatively simplistic compared to other biomes because biodiversity is low. The top predators of the system tend to be mammalian carnivores, such as polar and brown bears, wolves and foxes, which eat a broad variety of prey. Snowy owls and several other birds of prey are also important predators, as are wolf spiders. The largest herbivores are the musk oxen and caribou, which are eaten by bears and wolves. Lemmings, voles, and squirrels are more important herbivores and prey animals because they are so abundant. Wolves, foxes, and birds of prey all eat them. Finally, at the bottom of the terrestrial food web, and supporting all the others, are shrubby plants with shallow roots that are adapted to cold weather, short growing seasons, low light and little water. Freshwater systems of the tundra also have simplistic food webs. While charismatic species like the Arctic grayling and salmon occupy the top of the riverine food webs, the majority of production comes from biting blackflies who swarm across the tundra during the brief growing season. Black flies and most other aquatic insects are omnivores, and eat mainly dead plant material that falls into the water. Some aquatic insects also consume algae that grows on the rocks. These small omnivores are consumed by predatory insects like dragonflies, as well as top predators like fish. Tundra is rapidly changing because of shifts in global climate. The permafrost, a layer of permanently frozen soil 10 inches below the surface, is beginning to thaw in some places. As the temperature and precipitation patterns change, new species, such as boreal forest trees are expected to move into what is now tundra. As native tundra plants give way to forest species, the base of the tundra food web will be changed. This will, in turn, will affect the herbivores and the carnivores that eat them. 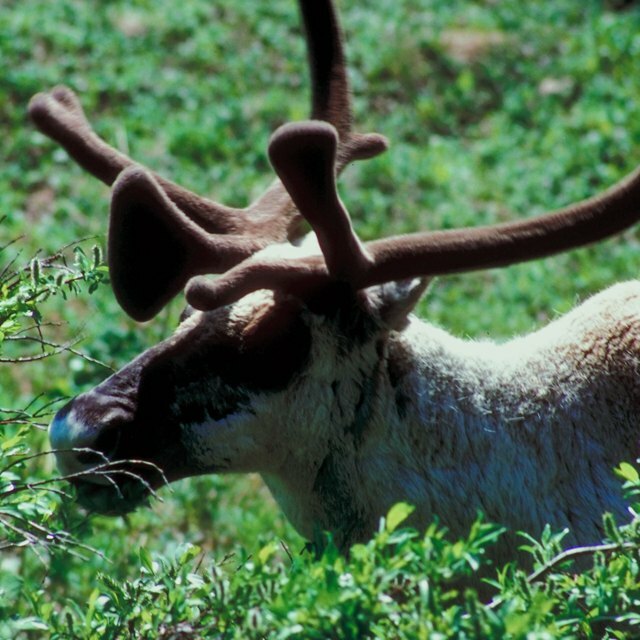 Scientists aren't sure exactly how these changes will affect tundra food webs and it is an area of continued research. Based in Washington, D.C., Jason Steele has been writing science articles since 2007. His articles have appeared in a variety of magazines and websites. He received a Bachelor of Science in biology from John's Hopkins and a PhD in biology from the University of Maryland. What Are Some Producers in the Tundra? Steele,, Jason. "Biomes of the Tundra: Food Chains and Webs." Sciencing, https://sciencing.com/biomes-tundra-food-chains-webs-20634.html. 25 July 2018. What Is the Food Web in a Terrestrial & Aquatic Ecosystem?